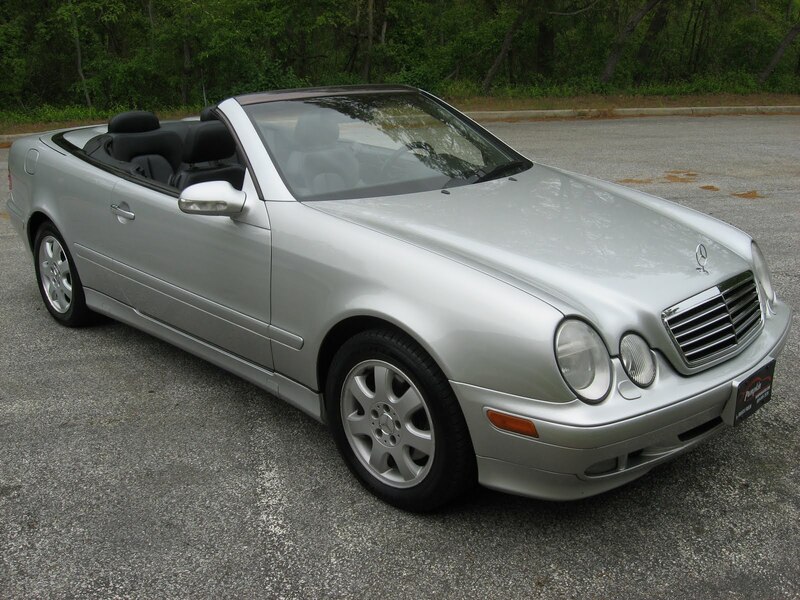 Today's Pumpkin Cars, fine car of the day is this beautiful, sporty and very very fun 2003 Mercedes Benz CLK320 Cabriolet. With it's sleek Iridium Silver exterior, Black Power Soft Top and Black Leather Interior this Benz will most definitely turn heads! Right now is the perfect time to buy your dream convertible before the summer gets into full swing! Imagine cruising around town in this pristine car, all while enjoying the flawless engineering and top of the line luxury that comes standard with any Mercedes Benz. 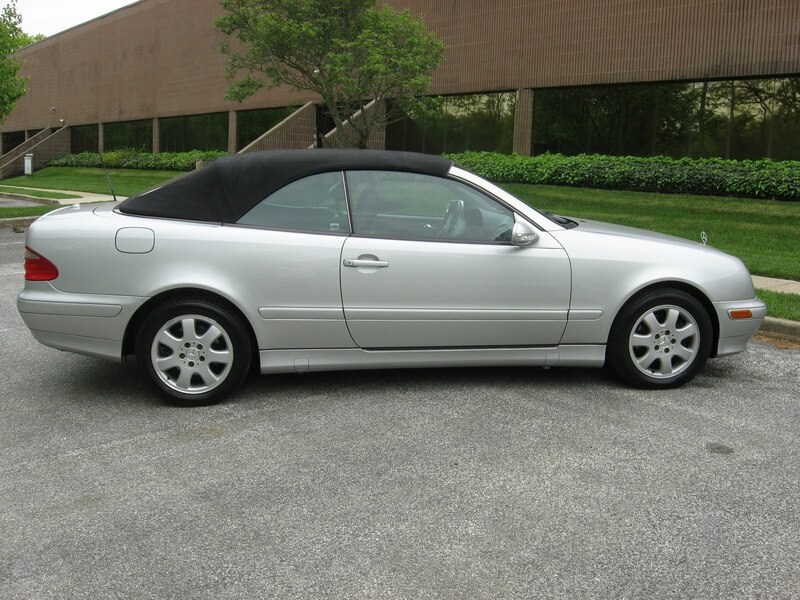 This CLK320 has only 67k miles and the Car Fax Report is clean as a whistle. Drive it right out of here for only $16,495 which is easily $3,000 below book value! 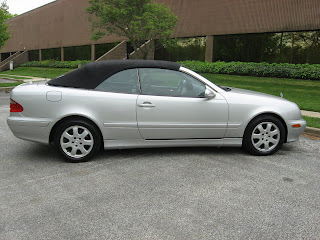 Yet another gem hand picked by Franck Freon, this convertible is ripe with fantastic features and options like a Bose Premium sound system with 6 Disc CD Changer, Dual Power and Heated seats with Memory Positions, Xenon Headlights and Alloy Wheels. It has been test driven by Franck Freon himself and assessed at a level that other area dealerships simply cannot match! From his 18 years of experience as a professional race car driver, Franck has a unrivaled ability to feel precisely the condition of each and every car in our inventory. This is all done as part of our rigorouse Pumpkin Certified process. If you are looking for an extremely fun, extremely well running luxury convertible for less than the price of a Honda Accord, than this car is for you! Take the short ride to our unique indoor showroom on Fire Rd in Egg Harbor Township and see this baby for yourself. Take her out for a spin just to make sure that it is true love! CONTACT US at (609)646-7676 or email us at [email protected]. Find us and become a Fan of Pumpkin Cars on Facebook, follow the tweets of @PumpkinCars on Twitter, view videos of our pristine inventory on YouTube and click here to subscribe to our blog. For financing information or to view a complete list of our pre-owned vehicles currently in-stock, log onto our website at PumpkinCars.com . Click here to see what our customers have to say about their experience here, at Pumpkin Fine Cars!